New for 2018, one of our newest obstacle courses. It is 25 feet long and 10 feet wide. Click the image on the right to view the full screen image. 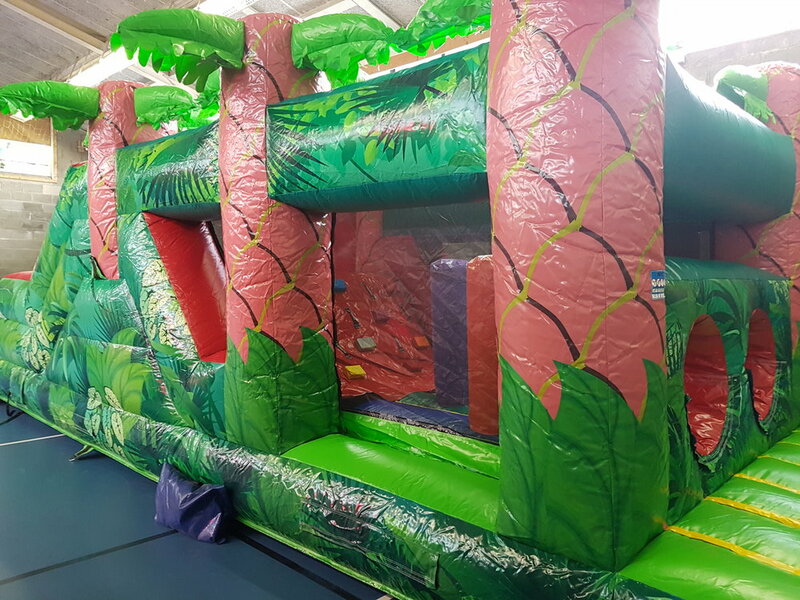 Our Jungle Fun Run Obstacle course is hugely popular both indoor and outdoor and provides the excitement of an obstacle course, the challenge of a small climbing wall and the thrill of a slide all rolled into one unit.